Book it, Borrow it! Introducing Course Collection. Course Collection consists of high demand and essential reading list materials suggested by your lecturers and is located on the ground floor of the URS Building. Most items are available to borrow but a few items can only be used within the section. 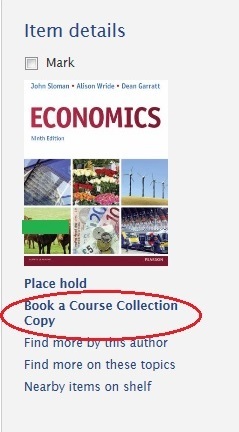 Did you know you can book Course Collections items for use on a specific day? Book up to two items on our Library catalogue up to seven days in advance. 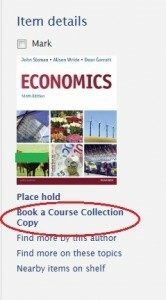 Just click the “Book a Course Collection Copy” link. Items booked for collection between 16:00 – 17:00 on Friday will be due back the following Monday at 10:00. Remember to always check your receipt for the return time! 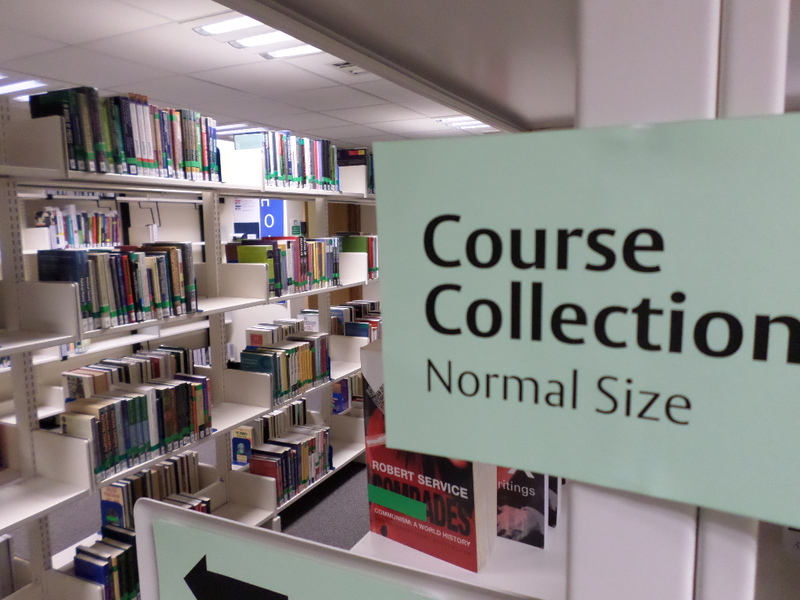 Fines for overdue Course Collection items are 80p per hour or part of an hour. 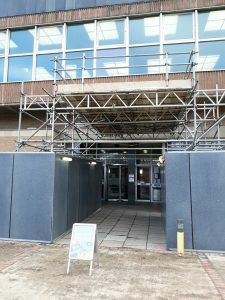 Work on a covered walkway up to the entrance should take place before the Library opens at 09:00. From the week beginning 6 November, contractors aim to work early in the morning to build a covered walkway up to the Library building door. They will cease before the Library opens at 09:00, so access to all your books will not be compromised. This work completes precautions to safely separate us from refurbishment works soon progressing to the front of the building. Hoarding has already moved forward, with paths moved to where bike shelters used to be. Alternative bike racks are by the URS building, in Palmer quad and outside Whiteknights House.